A “photographic memory for your digital life” eliminates hours wasted searching for information you’ve seen before. 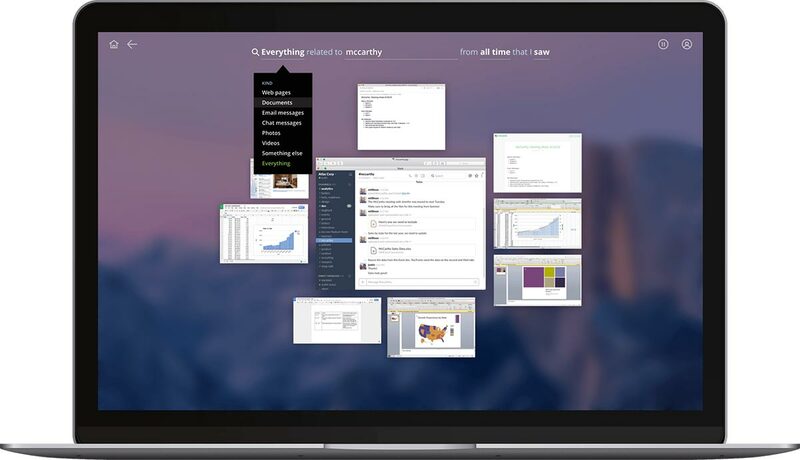 Imagine having easy access to the information spread across all of your devices and apps. Really, take a moment to think about how being able to quickly find anything you’ve seen in your digital life might transform your world. Consider the hours, the days you’ve lost… Various studies show that workers spend 20% of their time searching for information and gathering data. Well, with Atlas Recall, you always know where the information you need is hiding. You can find what you need and share it in just a few clicks. This is made possible by Atlas Recall creating a searchable index of everything you’ve seen across all of your devices and applications. In effect, Atlas Recall is “a photographic memory for your digital life.” At your fingertips. Say goodbye to the tired routine of opening one app to run a search only to find nothing, then moving on to email only to find nothing, and… With Atlas Recall, you can see everything relevant while foregoing the tedious process of opening apps and entering authorizations. Slack messages, Trello cards, Google Drive, email, Twitter, Dropbox, Asana – Atlas Recall works with all of these services and several others. Practical controls and features give individual users greater control over their data and allow them to conduct searches even more efficiently. The big takeaway, though, is that Atlas Recall is simple to use, fast, and an effective time saver. And, at least while it’s in open beta, it’s free to download. Atlas Recall is made by Seattle-based Atlas Informatics, and backed by investors that include Microsoft, Aspect Ventures, and Nathan Myhrvold. Jordan Ritter (Co-Founder of Napster) is the active CEO. To breathe new life into your workflow, learn more details about Atlas Recall, or to receive news when the app becomes available in Windows 10, visit the website here.